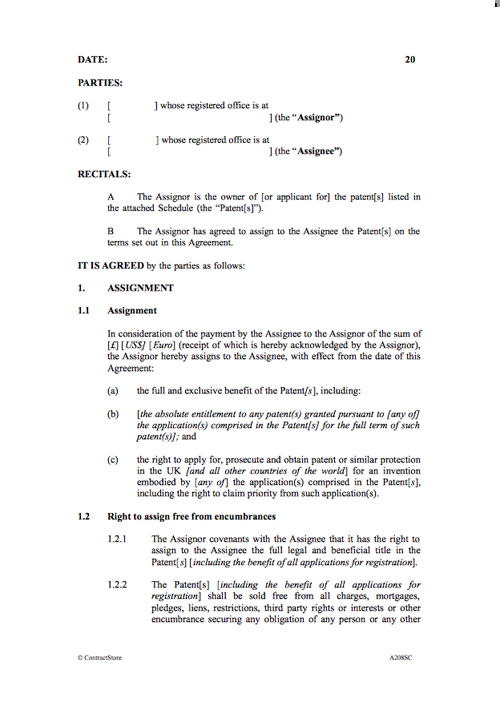 An agreement to transfer ownership of a patent (or patents) in return for a payment. A Schedule is included, allowing parties to detail patents and patent applications. 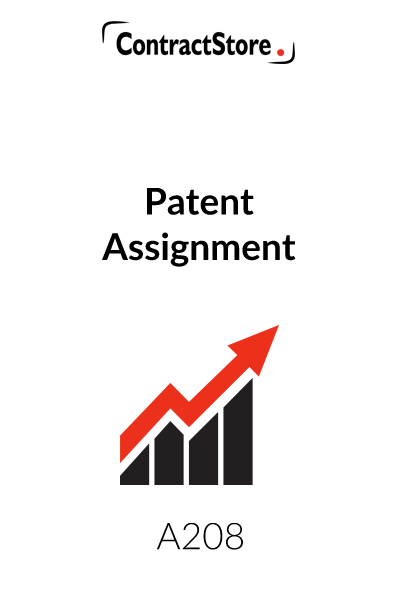 You need this document if you are the owner of a patent, looking to sell the patent in return for a payment, or if you are looking to purchase a patent from the legal owner. 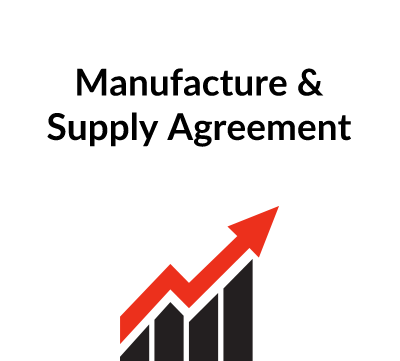 This agreement is used where patents are assigned by one party to another party. A transfer of rights in a patent or patent application is valid if it is signed by the assignor. The assignment should be registered as soon as possible following execution, as registration of such transaction gives notice to third parties, who are otherwise not bound by it unless they actually knew of the transaction. In addition, a patent owner who does not register a transaction within six months of the date of its taking place cannot claim damages or an account of profits for infringement occurring before registration. Stamp duty is not payable in the UK on the assignment of patents. The full name of the Assignor and address should be given at the beginning. If the Assignor is a company, then its full company name, its domicile, registered number and its registered office should be given. The word “Assignor” should not be altered. The full name of the Assignee and address should be given. If the Assignee is a company, then its full company name, its domicile, registered number and its registered office should be given. The word “Assignee” should not be altered. This section states that the Assignor is the owner of the registered patents listed in Part 1 of the Schedule and the owner of any applications (if there are any) as listed in Part 2 of the Schedule. If there are no applications, then the words in square brackets should be deleted. Further this section states that the Assignor will assign the patents upon the basis of the terms set out in the agreement. This clause contains the provisions confirming that the Assignor will assign the patents for the price agreed. The price should be included on the agreement. If there are no applications, clause 1.1(a)(i) in its entirety and the words in square brackets in clause 1.1(a)(ii) should be deleted. Clause 1.2 confirms that the Assignor has full ownership in respect of the patents and that it has the right to transfer them and that the patents are not restricted by any charges, mortgages, or other encumbrances. If no patent applications are being assigned, then the wording in square brackets should be deleted. Clause 1.3 states that the assignment includes the right for the Assignee to take an action against third parties for any infringement of the patents even if the infringement took place before the date of the Agreement. Clause 1.3.2 states that the Assignor will provide assistance in the event that the Assignee takes an action against any third parties. If the Assignee pays the Assignor for costs incurred in respect of such assistance, then the square brackets should be removed. This provision confirms that the Assignor will do any other actions required to ensure that the Assignee becomes the registered owner of the patents. Warranties are given by the Assignor that the patents are free from any encumbrances and third party rights and that it has all relevant documentation evidencing its ownership in relation to the registered patents and any applications. 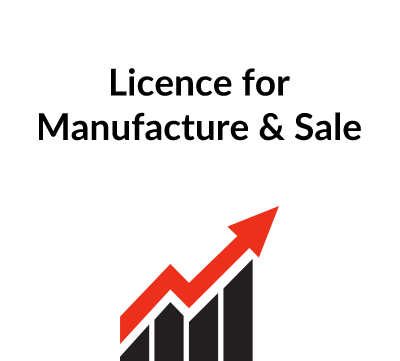 A warranty is also given in respect of section 49 of the Patents Act 1977, which, in essence states that where an owner of a patent is refusing to grant licences in respect of the patent upon reasonable terms or is not allowing reasonable exploitation of the patent to occur, then orders under section 49 can be made against the owner of the registered patents to allow for licences to be granted. The Assignee should additionally ensure that checks are carried out on the patents at the relevant registries prior to acquiring such assets. If a court states that any clause in the agreement is unenforceable, then such clause will be struck out of the agreement but the rest of the agreement will remain in force. 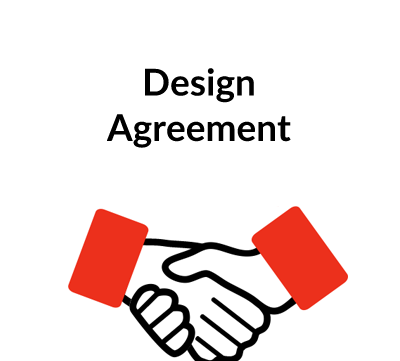 Any amendments to the agreement can only be made if agreed in writing by both the Assignor and the Assignee. Clause 6.3 will only be needed if any of the parties are foreign companies. In that case a process agent, situated in England, should be appointed so that claims, writs or other forms of notice can be served within England.